Each day Facebook, Instagram, Twitter, and media venues are bombarded with the idea of social impact and yet many do not understand the true meaning behind the movement. The business dictionary defines social impact as the effect of an activity on the social fabric of a community and well-being of individuals and families in that community and around the world. How can one person, one organization, one business, one CEO make a social impact that will be felt by many? Take Lori for example. Lori was considering options for a Christmas gift for clients at her branch of Citizens Bank. 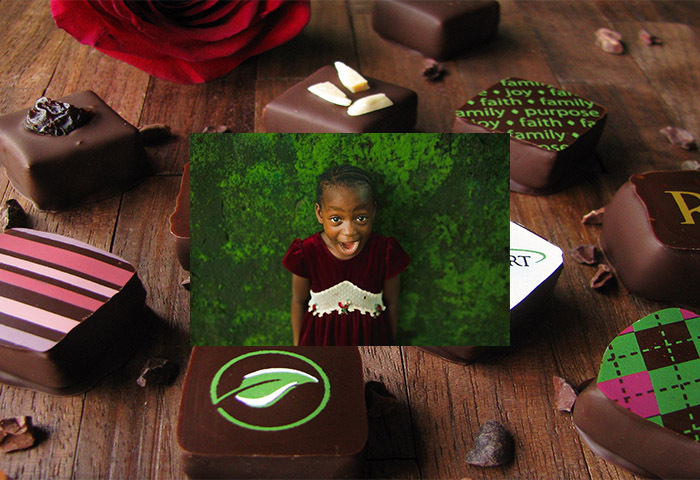 She knew a box of made-to-order artisan chocolate truffles would be a big hit with the bank’s customers and realized the customized packaging would enhance and reinforce her company’s brand. What she didn’t count on was the ripple effect that her seemingly inconsequential decision would have. Lori’s purchase of Bellafina Chocolates truffles helped break the generational cycle of illiteracy in a dozen families by providing funds to train four volunteer literacy teachers, purchasing tutorial materials for 12 illiterate parents and placing nearly 100 children’s books in homes where there were none. Read complete blog post on the CECP Insights Blog.